Pay a visit to BHS for an illuminating offer! You’ve got until the end of the month to redeem this offer from BHS. Available only on their online site, you can claim £10 off when you spend £50 or more on anything from the lighting department. 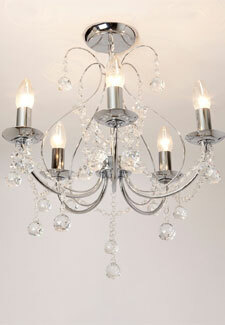 That means this beautiful chandelier will be down from £60 to £50. To redeem the offer, simply type the code SEPT50 at the check out. Happy shopping!